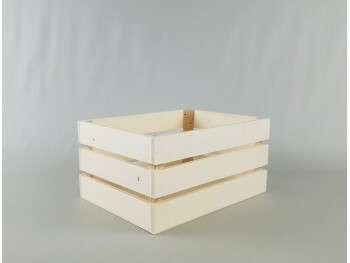 Set of 3 baskets boxes type to fruits, made of solid pine wood PEFC certificate. Total measures to choose, 5 mm thick. Large basket box 36x25x16 cm. Medium basket box 30x22x15 cm. Small basket box 25x19x12 cm. PEFC certified wood. 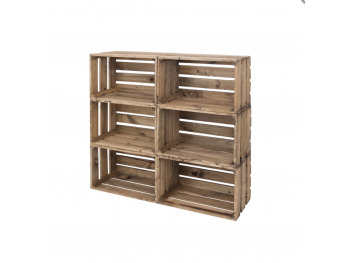 Product from sustainable forests. Inclined basket made of poplar. It is ideal for decoration, as a gift basket, to store toys, for everything you want..Measure - Interior of the box 33.5x22.5x18.5 cm..With handle for easy handling and transport..If you want to add an engraving click the "Add engraving to this product" button and follow the instructions. . .
Una de las cajas estaba torcida.